"The Eyrie Vineyards is one of the original historic wine estates in Oregon and by all accounts one of the most historic in this country. At Polaner Selections we love representing the true classic and iconic producers of their region: Giacomo Conterno in Piedmont, Felsina in Tuscany, Michel Gaunoux in the Cote d'Or and Calera in California's Central Coast among many others. It is a thrill for us to add Eyrie to that list. In the winter of 1965, after earning a degree in viticulture and enology from UC/Davis, and having spent time researching the vine in Europe, 25-year old David Lett moved to Oregon "with 3,000 grape cuttings and a theory". He planted the cuttings in a rented nursery plot, and went looking for the perfect vineyard site. It was the first planting of Pinot noir, Chardonnay, and related varieties in the Willamette Valley, and the first Pinot Gris in America. 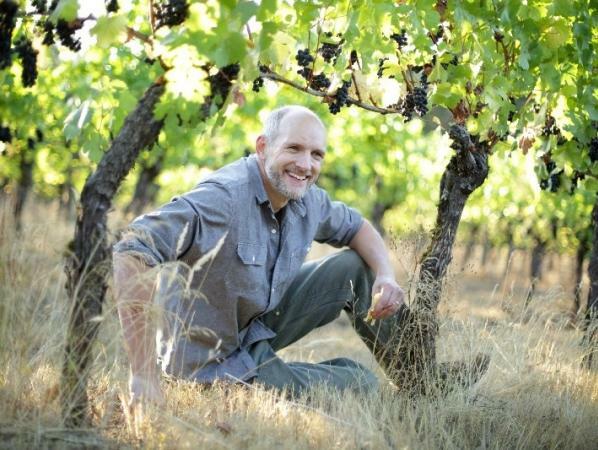 In 2005, Jason Lett took over from his father as winemaker and vineyard manager at The Eyrie Vineyards, and continues his family's pioneering legacy. Today, total annual production is around 10,000 cases. All wines are estate-grown and produced. In addition to handcrafted Pinot noir, Pinot Gris and Chardonnay, the Eyrie Vineyards also makes limited bottlings of Pinot blanc, Pinot Meunier and Muscat Ottonel. The philosophy of The Eyrie Vineyards, in the vineyards and in the winery, is to interfere as little as possible with the processes of Nature. From the beginning, the wines have been made exclusively from hand-harvested grapes grown without the use of insecticides, herbicides or systemic fungicides. The vines are also grown on their own roots, and are not irrigated. In the winery, Eyrie's "gentle touch" vineyard philosophy is carried over in their winemaking approach. The "style" is based on picking grapes at that elusive point of maturity where true varietal characteristics are at their peak, but before they become over-ripe. In the winery great care is taken not to compromise these flavors. This means minimal racking, extended lees contact, complete and spontaneous native fermentations, no fining, minimal filtration, etc. This gentle treatment creates wines which are very approachable when young but also with a (now legendary) ability to age for decades."